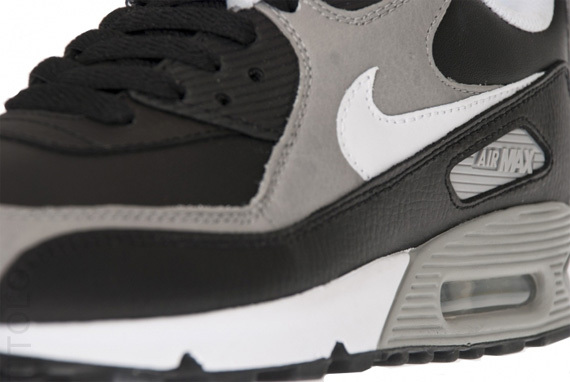 A look at the latest colorway of the Air Max 90 from Nike Sportswear. Arriving at retailers this month is this all new colorway of the classic Nike Air Max 90. Now many might immediately call these out to be a bit too plain, however the black, grey and white color scheme is one that is always a hit. Juicing things up just a bit more, this all new pair arrives in a clean combination of smooth and textured leather. Black leather is seen working most of the shoe throughout the toebox, mudguard and ankle area. Adding some contrast, medium grey is put to use along the toe, heel badge and side panels, and is also seen surrounding the heel air unit. 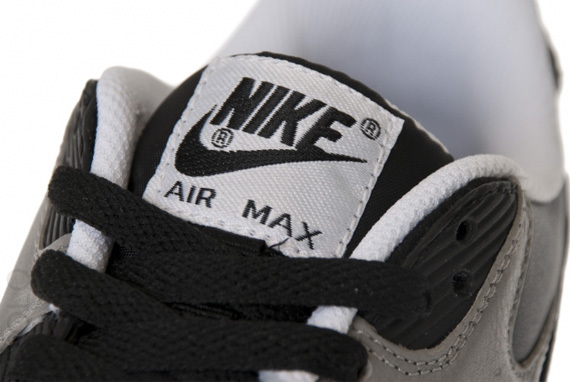 Of course, white is also apart of the look, arriving on the Swoosh, midsole and branding throughout. Look for this latest pair of the Nike Air Max 90 to arrive at select Nike Sportswear retailers very soon.